Our gluten free products mean that those with specific dietary needs can eat normal food with the rest of their friends and not feel left out. Serve these donuts warm with a dollop of Barkers Strawberry Jam and a sprinkle of icing sugar for a yummy dessert. Allergen Info: contains dairy and egg. One of the greatest tragedies of both creationism and evolution, is teeth. If there is an all-knowing creator, it failed when it came to designing teeth to be troublesome, easily corroded and damaged, and not self-replacing in the manner of sharks. If it&apos;s down to natural selection then surely by now the species would have selected for more durable teeth as a survival trait? So really, it doesn&apos;t matter how you look at it, teeth are a pain when you have them, and sorely missed when you don&apos;t. I sorely miss my chompers, because my dentures stopped fitting at all well when I started Chemo. 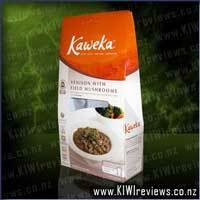 Soft foods is how this old Koro rolls now. If you can&apos;t cut it with a baseball bat, it&apos;s too tough for me. Also, on doctor&apos;s advise I have been put on a gluten-free soft-food diet. I had to fight to get them not to go the whole way and just make it liquids only or an IV. I know I&apos;m on my last legs, so I want at least some dignity left. 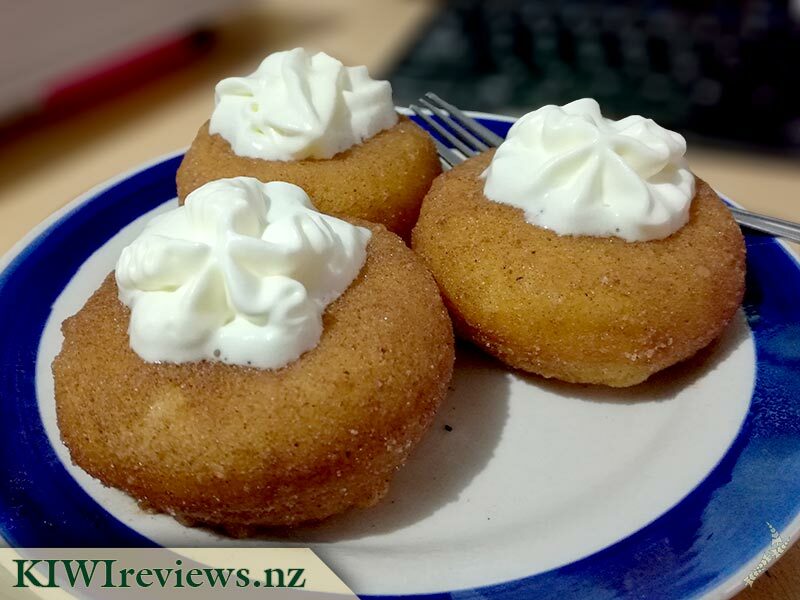 A kindly nurse, with special dispensation from the medical officials, got me the OK to review some of these donuts on the assurance of the main-man from KIWIreviews that they were at once tender, soft and utterly chemically benign. So, I got me some treets! Since I am in a room to myself at the moment, it was easy enough to ask one of the night-shift nurses to microwave up some of these for me the other night. Two frozen donuts went in, and much to everyone&apos;s surprise, 2 piping hot, soft and amazing-smelling donuts came out 50 seconds later. I had to pull the first one apart and let it cool for a few moments before I could eat it, so I whipped out my fake knashers in the mean time and gummed the first one into submission in moments. SO soft, sweet and full of flavour. I never would have guessed they were made with gluten-free flour replacement though, they just tasted like the best donuts ever. I shared the second donut with the nurse who did the "cooking" for me and she agreed. Being that she is actually living a gluten-free lifestyle by choice, she was amazed at how soft and fluffy they were. 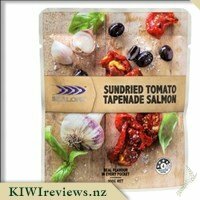 We both agreed that while the price seems a little steep, when you take into account the HUGE amount of R&D that would have to have been done to get these so light and airy and the taste so incredible, plus the cost of GF replacements anyway, the price is actually very fair. The nurse gently reminded me there were still four more donuts in the box, but I had eaten enough for the time being. I suggested she take them home with her and let me know what her family thought of them so I could add their points to my review. She did, and the next day she regaled me with tales of kids screaming in delight when she brought them out for a breakfast treat, served with whipped cream and strawberry jam. Her partner also enjoyed them, stating that the price was well worth it for a treat they could all enjoy equally. So, she went out and bought 10 boxes in one go to stock the freezer, she said. I call that a win all-round, wouldn&apos;t you? 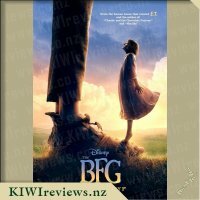 Thank you again, KIWIreviews, for introducing another great product and allowing me to create another wonderful memory while I still can. These donuts brightened not only my night, but also an entire family. Having traveled around the world and tried so many tasty donuts from various different donut chains and also individual bakeries, I have to say while I had thought I had tried the most amazing donuts I was well and truly mistaken, these gftreets gluten free donuts are completely beyond amazing, and take the top spot in my list of the best ever donuts, I must admit I did at first have reservations in regards to how gluten free donuts would actually taste but I really needn&apos;t of worried! 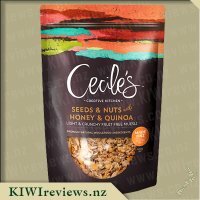 With so many allergies around these days such as gluten, soy and nut it is great that there is such an array of products available in stores and online to choose from that cater those with special dietary needs. The packaging of these donuts couldn&apos;t be better, bright and bold with a picture of how the donuts really do look when cooked! The list of allergies which these are safe for is clearly shown on the box in several places so that these can not be missed, another thing really well done as I often find that you need to go searching packets for such information! With 6 donuts in the box I decided to use 3 of these for morning tea one weekend, one each for my partner, Miss 3 and myself. They were so simple to prepare I simply placed them on a plate in the microwave for 30 seconds and they were heated to perfection. Upon the taste test Miss 3, who is a donut queen declared them as the "best donut in the whole world" and my partner also commented that they were better than his favourite donut made by an Australian company who he was dying to try again when we next head over to Australia, of course I was also impressed by these tasty little morsels or goodness. The donuts were beautifully soft and fluffy, and they tasted fresh from the oven, no knowing they had been frozen if you were to be served these up. The flavour was delicious sweet and sticky with the perfect amount of both sugar and cinnamon which seemed to ooze beautifully through the entire donut. Having 3 donuts left in the freezer last night once Miss 3 was in bed I decided to heat these up to serve for dessert for my partner, my Mum and myself. Rather than serving up as-is, I decided to turn these into something a little more special and created some hot donut sundaes, something I had recently tried while out at a restaurant. These were super simple to prepare, 30 seconds in the microwave, onto a plate topped with a scoop of boysenberry ice cream and drizzled with a yummy berry sauce. The flavours really worked well together and everyone raved about the winning combination, my Mum is hoping she will be able to source these donuts up in Kaitaia where they only have 1 supermarket! 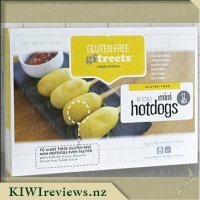 As far as gluten free products go these are the best I have tried and I can&apos;t doubt them in anyway, other than perhaps there just isn&apos;t enough in a box, so perhaps a box of mini donuts would be ideal? 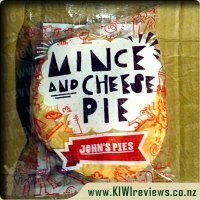 A yummy treat which I am definitely purchasing again both for myself and for gluten free visitors, these are amazing, whether your gluten free or not you really must try them! I was given a selection of gftreets to review. Although it was very tempting I left the donuts until last. I wanted to share them with my family but knew if I tucked into them while the kids were in bed they would be gone in a flash. The perfect time came on Friday, the last day of term and the kids were tired but they needed to get their bedroom sorted before it became more of a fire hazard. The donuts and some freshly squeezed orange juice was the perfect reward (bribery) for when they had cleared the floor. I told them I would get afternoon tea ready while they tidied. One of them popped into the kitchen and was surprised I wasn&apos;t making the donuts. When I showed her the packet and told her how quick they were to get ready she was amazed. On the box it suggested sprinkling them with cinnamon sugar but as my cinnamon had disappeared I couldn&apos;t do this. Once I opened the box I realised that there was already cinnamon sugar on it, although not the messy heavy coating that you get on the fish and chip shop donuts. I got my daughters (6.5 and 8 years) to heat their own donuts in the microwave. Although it suggests 30 seconds we only did 25 as our microwave is powerful. 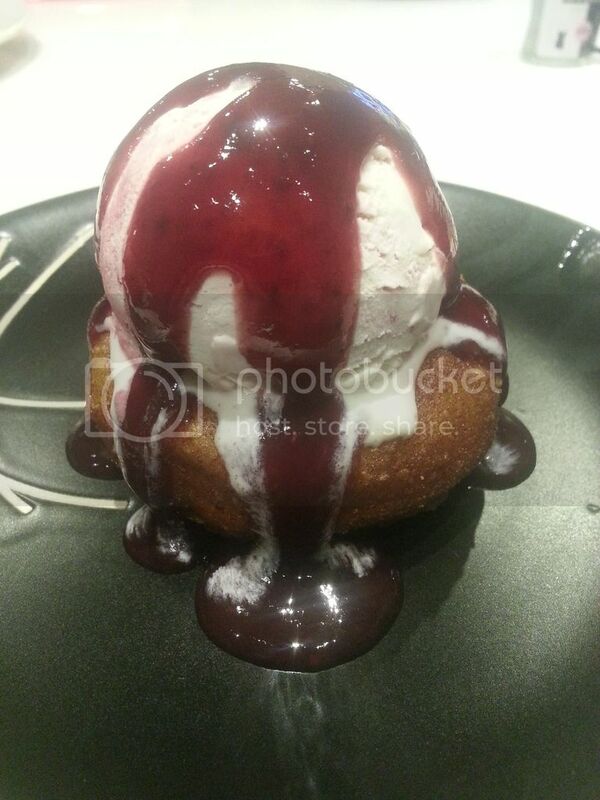 We then had to wait a minute or 2 for the donut to cool enough to eat. The taste was incredible. It was so light and fluffy. It was just the right level of sweetness and the slight cinnamon taste was great. Not at all what I expected from a gluten free baked product. They are usually so stodgy. We all loved them and the girls wanted another one. 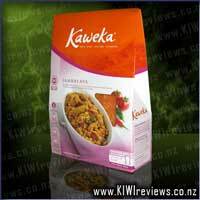 It is great to know that I can get a product for when the girls have friends over with intolerances and allergies. The price is surprisingly low for a gluten free product at less than $1.40 each. At this price I can serve it to everyone and don&apos;t have to save it for those that need it. 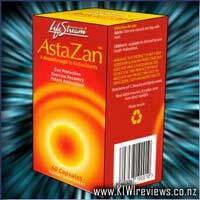 It is a product I will be hiding in the back of my freezer and recommending to those with allergies. This 300 gram box looked pretty appealing on the outside. Five luscious donuts pictured on the front of the box had us all salivating and the kids were pretty excited at the labeling of gluten free, wheat free, soy free, nut free and yeast free. Pretty much perfect for most allergies and intolerance&apos;s these immediately ticked a lot of boxes. I was heartened to then see when I turned the box to the ingredients list that all the ingredients are what I would use when making my own donuts so this really rates with me having no artificial flavorings or additives. Next up is the fact that these are frozen. I was able to keep these in the freezer and whip them out one evening (well two actually as there are six donuts in the box) for pudding. To cook they need to be heated either in the microwave for 30 seconds or in the oven for 8 minutes. The kids absolutely rated these. They weren&apos;t dry and the sugar and cinnamon was the perfect coating. 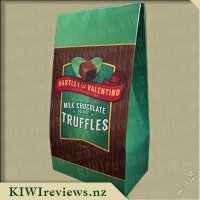 We all really enjoyed eating these and I would definitely buy these again as they are great to have in the freezer to give to friends or family when they have the kids or to whip out for a treat at home. I would definitely recommend these as a great Gluten free treat but also one that is great is you want a product low on additives and free of artificial flavorings etc. 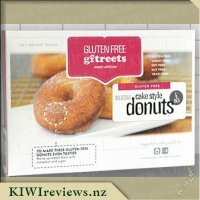 My family and I are really pleased that these exist and for $8.30 a box I would purchase these again as I have never been able to make gluten Free donuts quite as nice as these. I have given these top marks for nutrition not because they actually have any nutritious goodness in them but because they at least don&apos;t have lots of nasties. If you want to be healthy you probably aren&apos;t going to be eating donuts to begin with! This is going to be a difficult product to review because I can think of absolutely nothing negative to say about it! These donuts have got to be one of the world&apos;s best kept secrets. When I took my first bite, I was prepared for a mouthful of heavy, greasy dough which has been my experience with donuts almost every time I have eaten them. 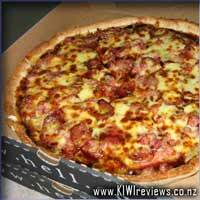 In fact, until I tried this particular product, I would have rated donuts very low on my preferred foods list. Tasting these donuts has totally changed my mind. They are light, tasty, moreish, and without the slightest hint of greasiness. I tried one with cream and a little added cinnamon on top (because I like LOTS of cinnamon), and a second with nothing added. I don&apos;t know which one I preferred - they were different but equally delicious. And there is a certain amount of cinnamon in them already, so the plain one was just as nice. I asked family members to try the remaining four donuts and the feedback was unanimous - everyone, old and young, voted them a winner. It was a pity I had just the one packet as the group of us could have easily eaten another packet or even two without any prompting. Since we all have very different opinions on what makes a good dessert, but were unanimous in our feedback on this occasion, it could be said that my first reaction was correct. 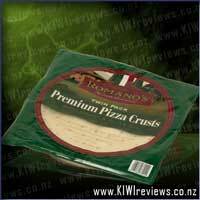 Until now, I would not have imagined that a gluten-free product could be so light and tasty. I would choose these over a conventional cake any day; even the price tag would not deter me from buying a pack for a treat. After all, you get what you pay for. You are not just getting a product designed for a particular market; you are also getting a taste sensation which is guaranteed to appeal to a wide range of preferences. I am hosting a dinner party in a few days, and am now sorted as to the dessert. 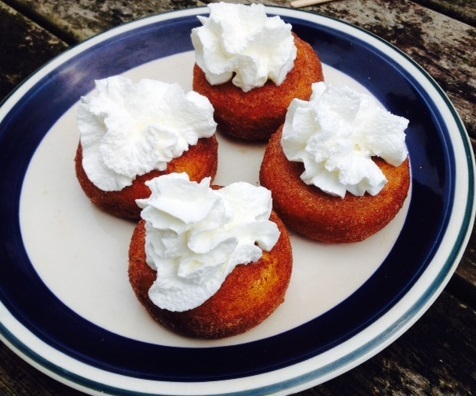 I have occasionally served baba au rhum as a "designer" pudding, but in the past I have always made my own baba with a yeast dough mix as I could not find a suitable commercially made base. I have now found it, and look forward to trying out these donuts as a new base. The other ingredients are also gluten free (cane syrup, cream and rum) so the dessert still counts as a gluten-free product. In every sense, a runaway success. When it comes to "Gluten-Free baked goods" I still have trouble getting past that &apos;it will taste like cardboard&apos; mentality. Old dogs don&apos;t easily learn new tricks, and I still recall, vividly, my early experiences with GF breads and baked goods. However, I am happy, no actually I am delighted, to admit that these donuts proved to be the highlight exception to that outdated rule. Despite the fact that the GF industry has taken off, thus prompting companies to invest a bit more into R&D for better-tasting GF foods, and the range of tasty GF baked goods has expanded rapidly, these donuts are so good at pretending to be "regular" donuts that I can not taste any difference at all! 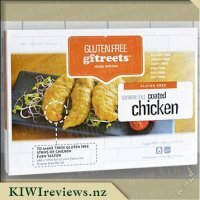 When it comes to "new inovations" in GF foods, you have to consider that "roast, steamed veges and mash" as a prime example, has been GF forever, so it&apos;s not really a new thing at all. However, it&apos;s pretty difficult to avoid gluten when it comes to baked goods, since the biggest gluten-bearing thing is the wheat flour that has always been used to make them. With the advent of such alternatives as rice flour, soy flour, coconut flour and even cricket flour - yes... ground up dried crickets IS a thing - GF baked goods is now an expanding market filled with yummy treats that are safe to eat. 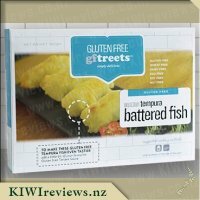 As a huge advantage of the new mixes available, people NOT suffering from a gluten-based health issue can also enjoy these without feeling like they are making a token effort. Another huge up-tick for me was that these can be microwaved from frozen, meaning I didn&apos;t need to heat up a pot of oil, that would then most likely be wasted, and risk being splashed by burning hot oil as I dropped a water-bearing frozen product into the pot. It took me all of 80 seconds to heat three of these to piping hot, add another 10 seconds to plop a dollop of whipped Chantilly cream on top of each, and present them for testing. Overall, these were such a wonderful surprise... light, moist, so so tasty and so much healthier than regular donuts. 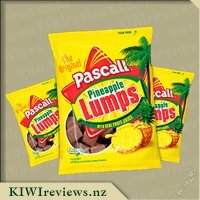 I plan to hunt these down in the supermarket and make sure I keep a couple of boxes in the freezer for special treats when the kids come around to visit. 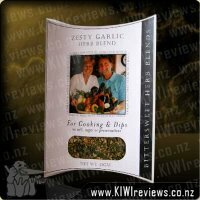 Even little Mr Fussy (8yo) loved them, so that&apos;s a huge plus in my book!